On Thursday, March 7th, come to Randolph Hall, Alumni Hall and see Jen Julian read her fiction. 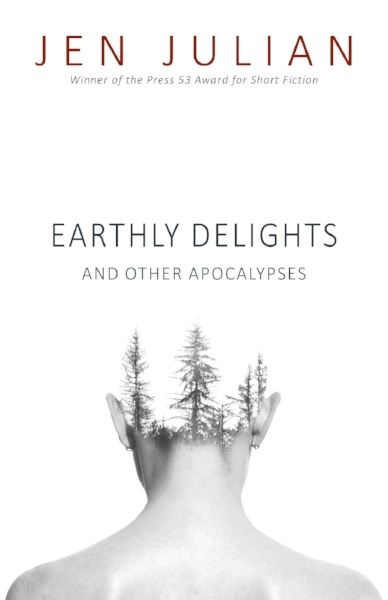 Jen Julian’s debut collection Earthly Delights and Other Apocalypses won the 2018 Press 53 Award for Short Fiction. 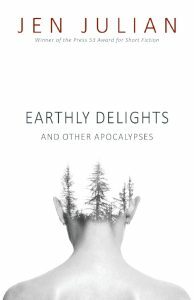 She holds a PhD in English from the University of Missouri, Columbia, and an MFA in Fiction from UNC Greensboro. Her short stories and essays have appeared in TriQuarterly, Beecher’s Magazine, Greensboro Review, The Chattahoochee Review, and North Carolina Literary Review, among other places. Currently, she is a full-time faculty member at Allegheny College in Pennsylvania, where she teaches writing and literature and is working on a novel. She calls coastal North Carolina her home.